Sterling (IL), United States – Sterling Systems & Controls, Inc. custom designs and manufactures the highest quality automation control systems for virtually any process, such as bulk bag filling, or a complete facility. Sterling Systems & Controls works with numerous OEM’s to provide them with competitive and efficient automation and process control of their equipment being sold to their customer. Working with many OEM’s is a specialty of Sterling Systems. Our knowledge of both process equipment and automation makes us uniquely able to put our forty plus (40+) years of experience to work for a wide range and variety of OEM’s and end users. Automating bulk bag filling process is an example. 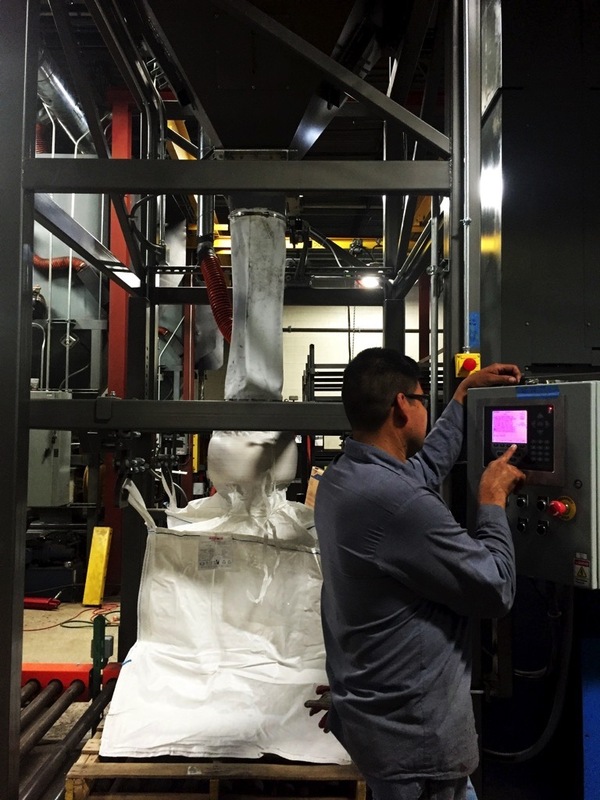 Sterling Systems & Controls has designed and manufactured an automation and process control system for bulk bag filling. This automation and process control system includes a Motor Starter Process Control Panel. Included in this control panel is an Allen Bradley PLC with discrete and analog outputs, an Allen Bradley Panel View Plus 10” color touchscreen, custom automation software including all M/O/A (Manual/Off/Automatic) switches with running indicating lights, four (4) motor starters, and all necessary fusing, wiring etc. to meet the application requirements. The MSPCP is also interfaced to a pallet disperser PLC using Ethernet IP messaging. Sterling Systems & Controls is a UL Listed control panel manufacturer. The operator interface touchscreen displays the automated bag filling process. This touchscreen is mounted in the door of the MSPCP provided by Sterling Systems. The touchscreen has a system overview screen graphically depicting all of the equipment being automated. The operator can adjust operating parameters for the control system at the touchscreen. These parameters include, but are not limited to, equipment timers, weight set points and others. Multiple levels of security is also provided as part of the automation system so that adjustments can be made by selected individuals.